Presentational Speaking focuses on making you a unique communicator, not an actor. We train you to minimize distractions. Our process, developed over decades of international experience, is base6 on research, not folklore or gimmicks. 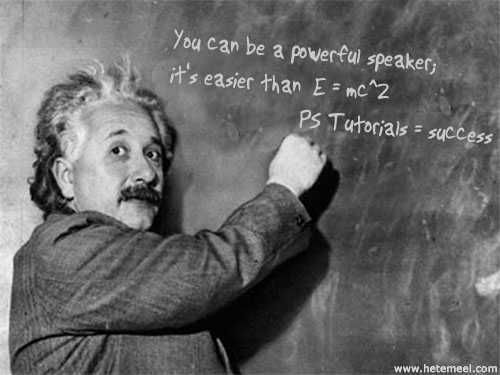 Tired of PowerPoint lectures on public speaking? Passive approaches to training are ineffective because they focus on the wrong person - the trainer. Listening to an expert speak about speaking leaves you with the same skills you had when you arrived. Effective training is doing. The purpose of communication training should not be to describe an ideal presenter for you to emulate -- that would be acting and it makes anxiety worse. Training should make your communication more powerful. Presentational Speaking has coached international political leaders, U.S. Senators, governors, executives, international media personnel, broadcasters, sports personalities, scientists, and medical researchers.